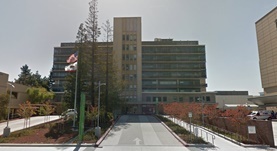 Dr. Daniel Siedler is a recognized interventional radiologist in Redwood City, California. He received his medical diploma from Duke University School of Medicine in 1981. Dr. Siedler completed his medical education with a residency in radiology at UCSF. He is certified by the American Board in diagnostic radiology and his subspecialties are vascular & interventional radiology. This doctor works at Kaiser Permanente Redwood City Medical Center. He has published five articles in collaboration with other doctors. Besides English, this doctor speaks Spanish, Russian and Tagalog. Dr. Daniel Siedler has contributed to 3 publications. Computer-aided detection in diagnostic mammography: detection of clinically unsuspected cancers. Butler, S.A., Gabbay, R.J., Kass, D.A., Siedler, D.E., O'shaughnessy, K.F., Castellino, R.A.; AJR Am J Roentgenol. 2004 Nov. Uterine adenomyosis. A difficult sonographic diagnosis. Siedler, D., Laing, F. C., Jeffrey, R. B., Wing, V. W.; J Ultrasound Med. 1987 Jul. Conditions for an in vitro culture of murine mixed hematopoietic colonies and their putative cellular origin. Miller, B. A., Siedler, D. E., Dunn, C. D., Huang, A. T.; Blood. 1982 Jul.